I am actually very happy to have opened my BOF to find yet another on point and on target article. This time looking at the fashion tech question from the investor’s point of view. I have reread the article, slept on it and taken the decision to publicly address this debate. Especially after several exchanges with design my global network of entrepreneurs. Fashion, Technology, entrepreneurship, investment potential, all are betting on the consumer… the question is how well do they understand fashion consumer’s needs and/or desires of said consumer! One thing’s for sure. It will be an exciting next few years as technology transforms the relationships amongst brands, retailers and customers. But the biggest challenge entrepreneurs face might be themselves… Many would-be fashion-tech entrepreneurs have a deep understanding of the fashion industry & no understanding of technology… Or they have a deep understanding of technology and no understanding of fashion Or, they understand neither! The opening quote sums ups the authors viewpoint… I’ll take that statement a step further many emerging entrepreneurs;- both INVESTORS… and Journalists. I recently went to the Gilt Groups Fashion Hackathon.. In fact my team won a best use of API... We had two brand experts, two technologist and two Fashion experts, we all were shoppers. Most of the other teams had technology expertise and shoppers. In another conversation we’ll talk about the importance of teams that can not only conceive but also execute! Even In defining “Fashion Expertise” the spectrum is broad. In considering Fashion Tech space we need to consider much more than many have thus far been exposed to and it may be easy to look at existing positioning. Seventh avenue is not the only existing model… nor is it the most successful In fact many of the so called “new models” have always existed and are now simply being put online by the Fashion “elite”, or more correctly “tech connected”. This commentor has no idea what goes or can go into the making of a tee shirt… shaping, sewing techniques, surface design, trim… not all t-shirts are created equal. However I do agree with him that product info needs to be better! 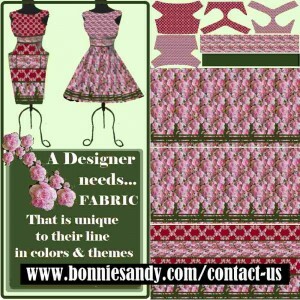 In researching Fashion Tech I look for site that span gamut the from Vintage to mass retail to ALL of the custom space- customization, customized, made to order, made to measure, custom design bespoke design and couture and DIY. As a someone long pushing for fashion tech in the NYTech scene there is also my needs as designer, the consumers’ and other user of Fashion Apparel and accessories! Concept development , Research, Trending, Sourcing of fabrics surface notions trim, execution of design concepts , samples and production to facilitating the consumer transfer process better known as sales… whether pre-production or post production, even the use of social networks to facilitate that sale is not new … the technology is and often designed by people without any concern for culture or anthropology (as in the way we do things) they are addressing THEIR need. The reality is that fashion is heavily varied with business models running the gamut from the low end retailer to luxury brands, it is also cultural. .. but at the end of all these the fashion entrepreneur is in the business of wardrobe and apparel acquisition! “the reality is the customer only needs two sets of clothing one to wear and one to put on when that is being cleaned everything else is a luxury, Your job is to convince the consumer that a luxury is a need and make the experience worth their investment. Recently I explained to my one of cofounders… “If an offline store were to arrange it’s shelves, and provide shopping carts and self-service cash registers… even fitting room and simply left the sale process up to the consumer… They too would have the same disappointing sales. I am a rare hybrid with Experience in Fashion Tech Entrepreneurship… That understanding of fashion comes with over 30 years in the Fashion sector in custom design sector my mass production skills are minimal. 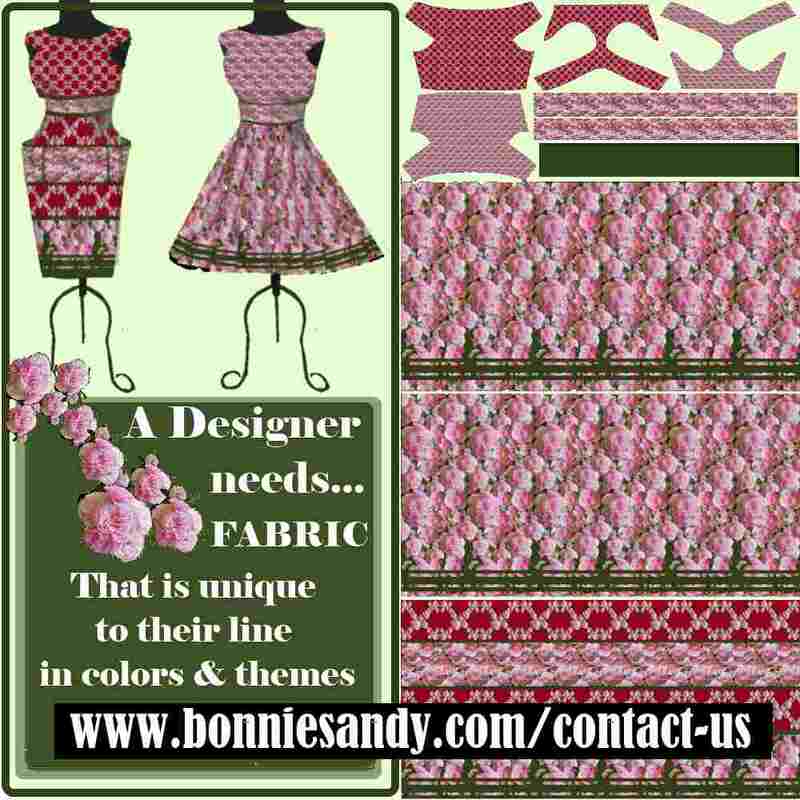 I was born into fashion and I’ve worked almost angle of the custom design sector in fashion. I studied at Fit and apprenticed with an adjunct Parson’s professor for four years. I came to the Fashion tech experience smug in my ability. My mother a custom clothier who taught pattern making and trained many in the type of support programs needed for the local fashion sector in my native Trinidad. In the Mid 1990’s I had the opportunity to run a dress shop on the upper east side to this day I define that as my real education. What I “ accidentally discovered was a collision of culture, expectation and “appearances” that defied explanation. I had access to the closets of some of the cities wealthiest and the responsibility of helping them perpetuate a “lie” that the “Fit” the expectation laid down in some elite brand’s design studio! These women supplemented their Tahari, Anne Klein and various other labels from stores such as “Saks”, “Bergdorf” and “Lord’s” with $400 alteration bills! Less than 20% of wardrobes actually fit. I was shocked. My tech experience is as varied but was less willingly ventured into; at 18 my father a computer programmer saw to it I was certified in Cobal language. Years later my brother a self taught hacker or “Api-er as some in the Caribbean may called them developed some of the first video stream modules for the now Joomla platform and helped me build my first sites. sibbling dissent did what parental wisdom could not I discovered barcamp & the NYTech scene due to pure sibling rivalry. I intended to show I was right. Till technologist learn entrepreneurship and have more than a casual, contact with the entrepreneurs they hope to serve we’ll see the vast sums wasted in Hackathons and investments with increasing numbers of abandoned concepts. Many, actually with a little tweaking can truly serve mankind … in many sectors! Note I said certified. I read and understand code I hate code (try admitting that in a room of hackers). 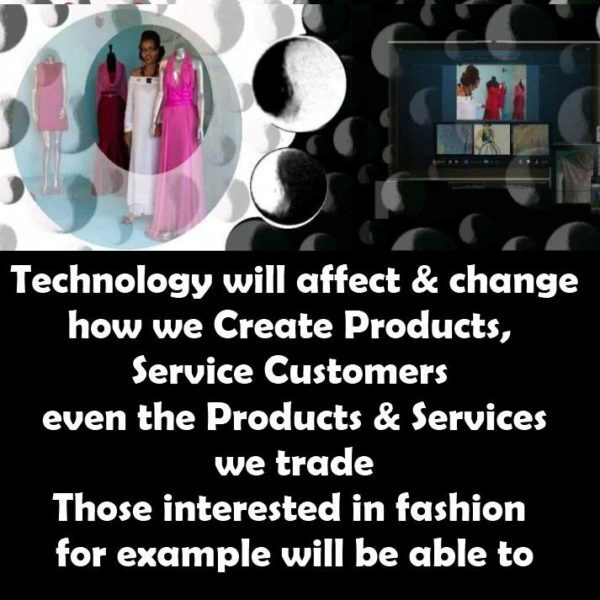 I know better yet wading through the present solutions is daunting… I guarantee I cannot get many of my fashion colleagues to even attempt using the technology at it present state! We simply put up the cash register ..we don’t expect to have to put it together! I am a rare hybrid with Fashion Tech and Entrepreneurial expertise yet I did not understand investment or investors, It’s a learning process and one day I hope to one day be able to have a one on one with the fashion tech investors such as the author Lawrence Lenihan. In short while we need these services it is not a process that can be rushed! So Let’s Look at FIT… In online FIT solutions alone there are numerous options but what do you search for just on PSFK.com alone… Virtual Fitting Room, Try-On, Fitting Room, Fitting Room, or In-Store Experience, and that not taking into account having to define Webcam Social Shopper do they address fit. Fit, can’t be done. Not with the accuracy that shoppers would expect (with a 2d or 3d camera)… but even if it could be done, 3d asset creation is cost prohibitive. These augmented reality and other 3d fit solutions may one day work… once user measurements and an extensive database is collected and once manufacture are convinced to use that data in pattern making and construction process. Even then each individual label has a “fit”. When technologist and those with experience in fit and sales work together we will truly see results in the space! fit is the main reason for returns, Fits.me, on average, decreases returns by 22%, more among the higher priced and fitted garments. The challenge is that my FIT or rather the Fit from the clothing comes from the measurements used to create the clothing! Trying to select fit post production is futile! The closest thus far Clotheshor.se and even then the algorithms used in successful pattern-making changes across cultural groups and body types! “the biggest flaw I see is that these “Internet entrepreneurs” fail to understand how the Internet will fundamentally transform the fashion industry, not just provide another access point to buy something… Every brand must figure out how to build a revenue model around connecting directly with its customers” Online retailers will not succeed as customer access points for brands anymore, because the brands can now access these customers directly. So, the online retailer must be more. I would argue that Net-a-Porter is as large a threat to Vogue as it is to Bergdorf Goodman. The last I had the opportunity of filling out at the Ecommerce Hack, where I was able to focuses in on replicating the selection process sales people & personal shoppers engage the consumers with from the moment they enter the store! As for replication the in-store experience I not only believe, we’ve been testing with the use of video globally at a local level and I have spoken on this at the First TV Goes Social. Our forte is the Boutique and what makes an incredible physical store… it is the forte of each designer in my niche. I’ve used video to work with artistes and creatives in several projects … we’ve laughed, cried, fought, A fact crystallized in an experience with various artist emotion is driven by sensory stimuli. Fashion makes you feel. It is about emotion.. . 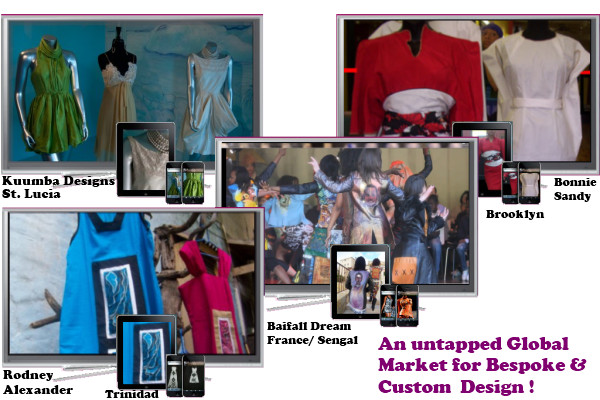 Fashion is not a unilateral experience…intimacy even spiritual energy is possible via the digital realm! However it is the foreign artist the ones needed access to the us suppliers, and audience that are the most open! Telepresence work! But are you… anyone these days can be a maker… most of these people seem to have little prior (or present) experience making and selling stuff. The consumer sees the equation from a different perspective! Designing making and selling stuff people will buy is tough! The exit strategy (the sale) is an art-form in itself and this is where I take investors to task. Piping the smell of pizza into the air when all you serve is popcorn, may sell tons of popcorn but the consumer is dissatisfied and eventually goes elsewhere…. at some point it’s worth it to build the pizza often and haul in the ingredients or the customer simply won’t buy! Working with makers is tough… there are issues to solve. Now brands can aggregate customers themselves, not based on where the customer lives, but on the values, interests and aspirations the brand and its customers share and use technology to create incredibly unique, intimate, personal, interesting and fun relationships. Let me let you into a little secret. Just about every custom designer artisan I know has 2-3000 lists and they know these individuals. Often travelling during summer and at key holidays. Sometimes customers make yearly pilgrimages. Sure these customers also go to the large retailers.. Then bring the items to be customized… including some large names in fashion and entertainment! Technology simply made less trips easier process and more contact! “I never have left overs”… that from a colleague in 2007. Many would-be fashion-tech entrepreneurs have a deep understanding of the fashion industry and no understanding of technology… Or they have a deep understanding of technology and no understanding of fashion Or, they understand neither! From where I sit, be it pitches at hackathon, or listening in from my studio, many of these companies have a misguided understanding of much of this sector an intimate knowledge only in their niche or needs! Virtual closets, flash sale businesses, new designer “discovery” sites, you-be-the-designer sites, social shopping, user-curated boutiques, subscription sites, custom clothing…. The entrepreneur/s who find strong partnerships with vested interest parties or expert in all three will find success! Posted in Latest and tagged As I See IT, Tech Evangelism, Tibiae Tech.